Enjoy a clever new way to open bottles with a bit of fun and artistry. 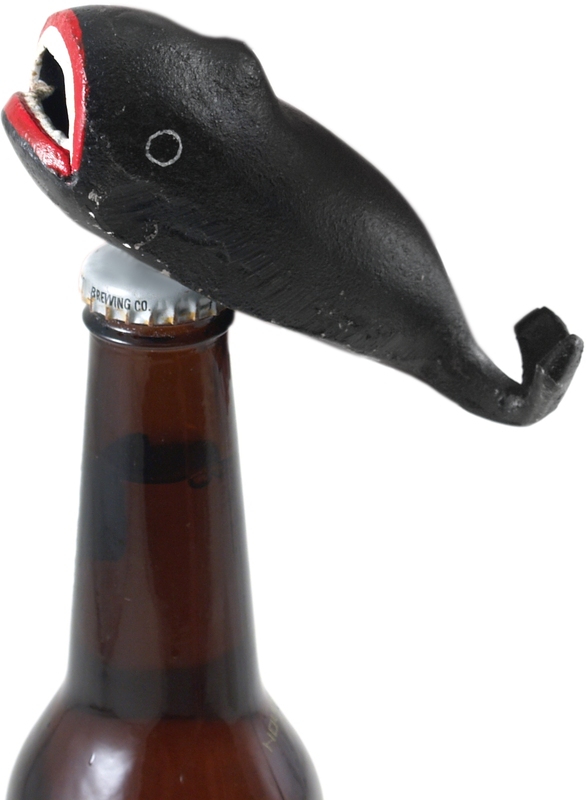 This whale shaped bottle opener from Homart features high quality, cast iron construction. It is effective at hooking onto bottle caps with the clever whale mouth design and is a major hit at sea themed parties or homes. When not in use, it makes an excellent paperweight or home decoration.